During Fashion Focus CHICago this October, the Chicago Fashion Incubator (CFI) presented a collection of twenty looks designed by its current residents and some of its alumni. 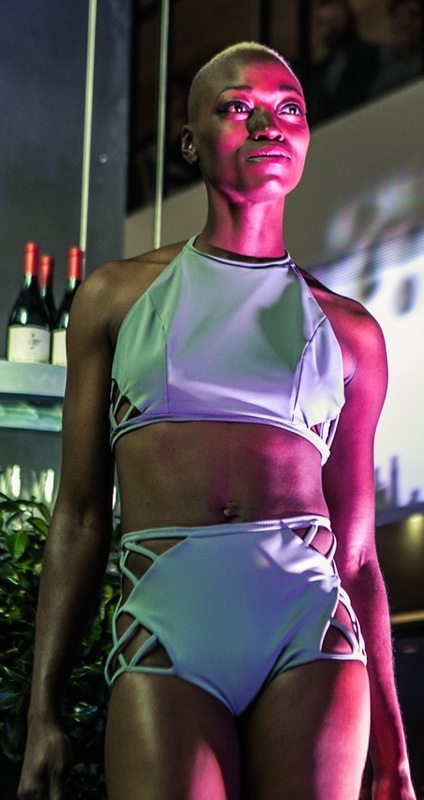 In partnership with Skoog Productions and the Virgin Hotels, the show took place at the chic Commons Club in an event entitled “Fashion Meets Music.” Attendees lounged along the cushy eatery and bar while models sashayed around them, providing everyone with a front-row view. 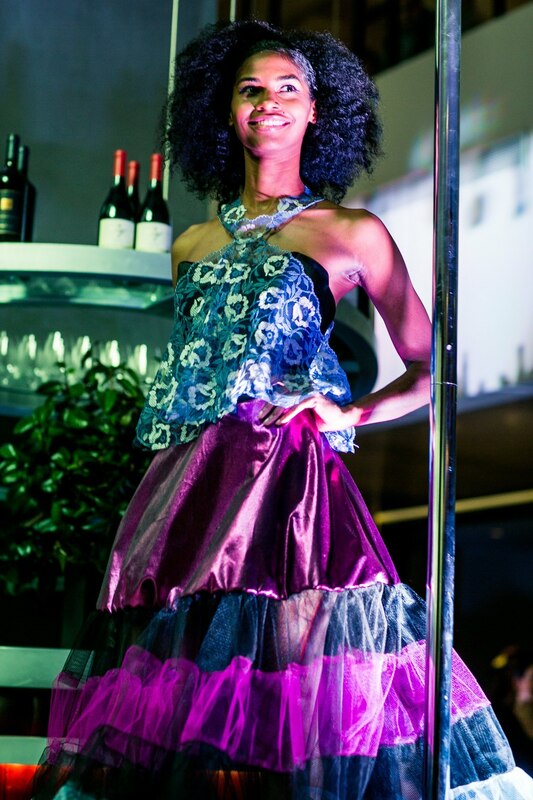 Perfectly in sync with the vibe of the event, the creations featured on the runway exuded a modern and sophisticated tone, in part thanks to the vision of CFI’s design director Andrea Reynders. We caught up with her after the show. How did the idea to start the Chicago Fashion Incubator come about? In 2007, the CFI was started as an initiative by Mayor Daley to promote fashion in the city and encourage emerging designers to stay and work in and around Chicago. The mayor enticed Macy’s to give us a space to work in where the designers-in-residence share office space as well as a 2,000-square-foot studio. The Chicago Fashion Incubator was then established as a nonprofit 501(c)3, supported by grants, sponsorship and donors. What are some of the resources offered to the CFI designer residents? We offer a one-on-one mentoring of both business and creative development; a two-year commitment to this development in a secure and professional space; opportunities to market their collections through retail sales ventures; plus workshops, seminars and visiting professionals to inform and help develop the individual entrepreneurs. What are you looking for when you select candidates for the CFI? What are the requirements to apply? We look for serious candidates who have completed their college degrees and, most importantly, had some experience in the fashion industry—through internships, merchandising, design positions in the fashion or design fields. They must be able to commit to a two-year program, attend the workshops and seminars, be financially set to create the collections they are committed to, and work in a professional manner. We look for creatives who have a vision for themselves for success, determination to achieve their goals and work as professionals. Who are some of your all-time favorite CFI designers? Did most of them stay in Chicago? Unfortunately I did not start at the beginning, but in my almost four years here, the alumni I have worked closely with are Anna Hovet, Taneasha Prunty, Kate Pankoke, Shelby Steiner, Olivia Hwang, Agnes Hamerlik and Lagi Nadeau. All but Shelby are in Chicago, in business for themselves. Shelby is designing for Nike in Portland. How are you managing to retain the designers mentored at the CFI here in the city? Is there a commitment to stay during a certain period of time? We can only be as supportive as possible. We encourage alumni to keep in touch with us so we can help promote their businesses and events. We invite the alumni to join us in public sales the CFI puts on and we have quarterly meetings to keep in touch. Because they are building their own businesses we cannot restrict them to Chicago after they complete the residency. They must follow their best business sense and their hearts. Stephanie Kuhr of Dottie’s Delights lingerie has just moved to Nashville, but came back here all of last week to participate with the CFI during Fashion Focus Week. What do you think we need to create a more business-friendly environment for our local fashion designers? We need better resources for manufacturing, sourcing goods. We need the support of the press, bloggers and the public. We need Chicago to celebrate the exceptional creativity of designers here, through everyone’s support. How did you select the designers participating in the Fashion Meets Music show? Is that an ongoing series in partnership with the CFI? 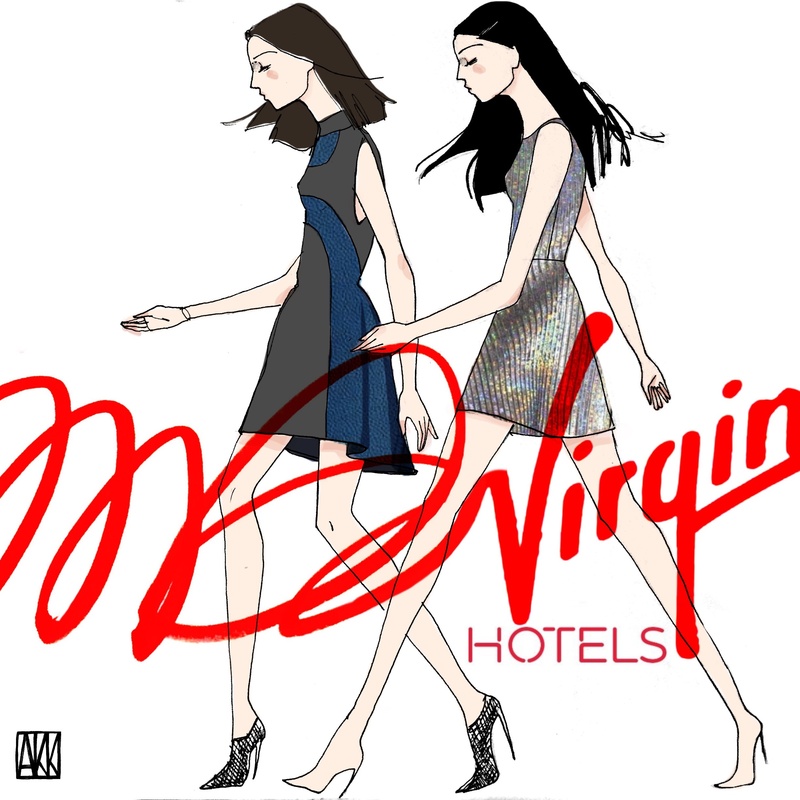 Fashion Meets Music was our first collaboration with Virgin and Skoog Productions. We hope it will continue and grow! The designers participating were the current designers-in-residence and alumni who were available to meet the commitments. How do you help the CFI designers develop a vision for their line? It is a fine line a mentor must walk—to see the individual potential in each designer and bring out the strongest creativity without putting “my aesthetic” into it. It is a balance of skill and knowledge, of being sensitive and strong, knowing when to push and when to stand back and let the designers take off on their own. What are some of your most important suggestions to those starting their own brand? To be determined to stick out a long road of commitment to their dream. To read all you can about what is going on in the industry. To work for—or at least intern—with a company outside of Chicago, preferably New York, for a year or two before making the commitment. To be focused on where they see their brand and who their customer is. To be realistic about what it costs and the drive it takes to be successful. Never lose your dream. 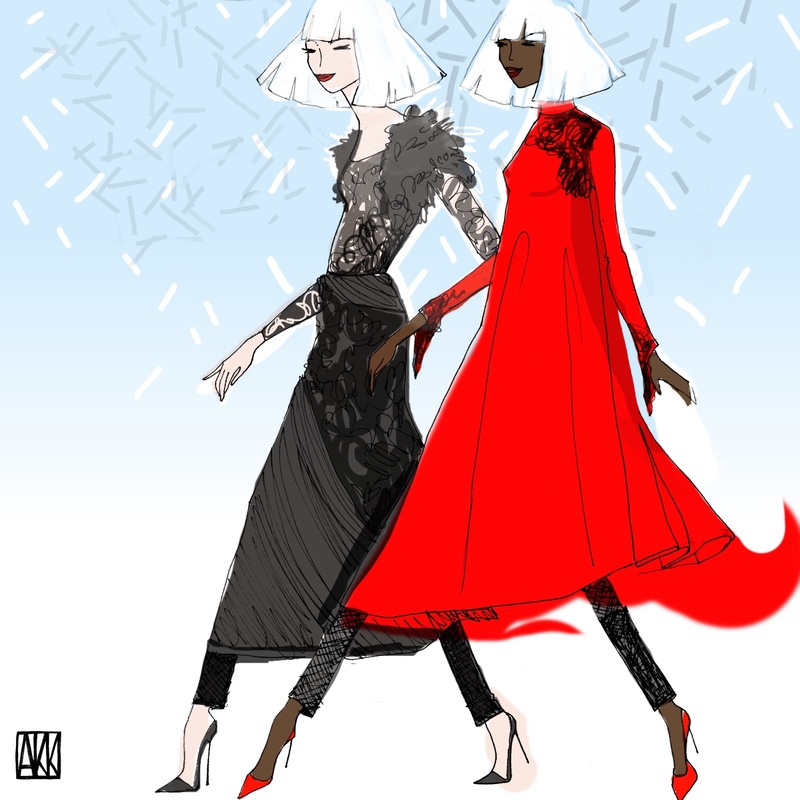 How do you see the future of the fashion industry in Chicago? What do we have in our favor? Chicago has particularly strong schools teaching fashion design—so we have the design talent—but lacks the support to keep designers here, so most of the good ones leave for New York or Europe or other destinations. At this point we must acknowledge that to be a successful designer you can live and work in Chicago but have a footprint in New York. This is where the major buyers convene and new talent is recognized by all the major fashion industry professionals. If Chicago designers could group together we could have a strong voice in New York and make a presence in the world of fashion. 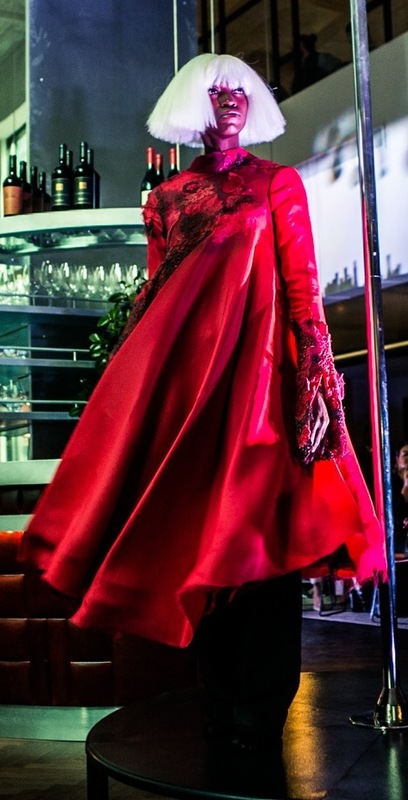 Inspiration: various forms and the disconnection in nature; dramatic draping, complex fabric manipulations, and unexpected embellishments and details. Materials: luxurious silks and French lace.